Had to get up at nonsense o'clock today to meet the guy who was coming to fix our intercom. 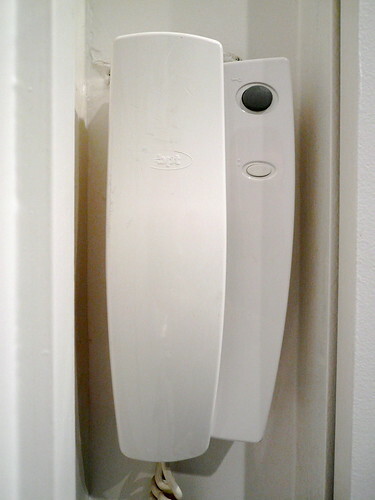 When we bought the apartment, the intercom was about the only thing in it that didn't date from before 1975. Ironically, it didn't work. When French workers say that they will come "sometime after 8am", that usually means that they will either be there at 7.30am and go off again complaining that nobody was there to let them in, or near midday, meaning that you've wasted half of your day. However - as if to prove that I'm just a clichéd cynic - a very nice man arrived promptly and fixed everything pretty quickly. From now on when people buzz the apartment you can hear them, and they can hear you. So modern! 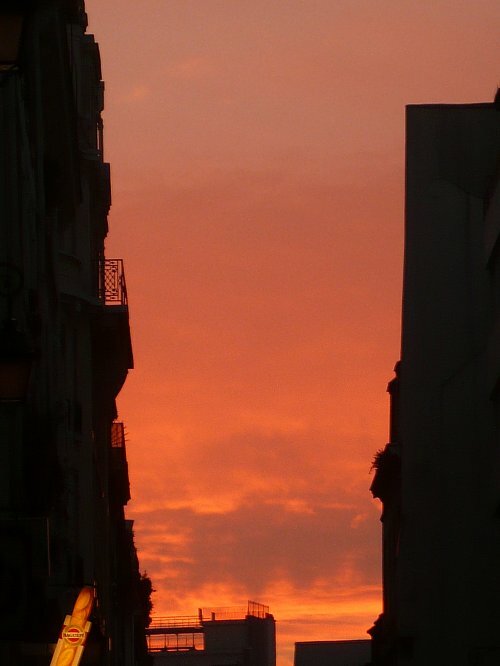 ...and took a few photos of the sun rising over the end of rue de Montmorency. 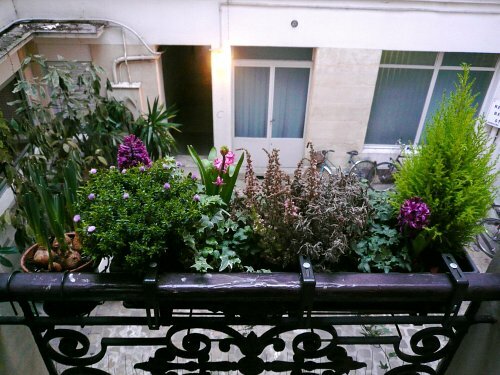 There's something magical about being out on the Paris streets early, and this scene made my day. yous blogs are areally aazing Jason. just like having bought a Travel Guide written by an old friend or aninsider. yeah. i know. i am a antastic boy. really antastic. Great new cake shop near us. Not French. Welcome Netherlanderers.You are extremely late.